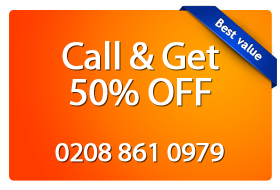 Are you looking for professional upholstery & carpet cleaning in Stratford E15? Are you worried about the chemicals used to clean your carpet? Our carpet cleaners in Stratford E15 are more than happy to help you deep-clean your carpets and make them look new and glorious. We incorporate eco-friendly and biodegradable equipment in our line of work to create a clean, healthy and safe environment for you. Our Stratford E15 carpet cleaners have all been professionally trained and are friendly, courteous and full of energy. All spots and stains are individually treated to ensure they are completely removed and not just merged into your carpet. For any enquiries regarding our services, please contact Magic Carpet Cleaning in Stratford E15 and we’ll be more than happy to advise you on the most suitable option.